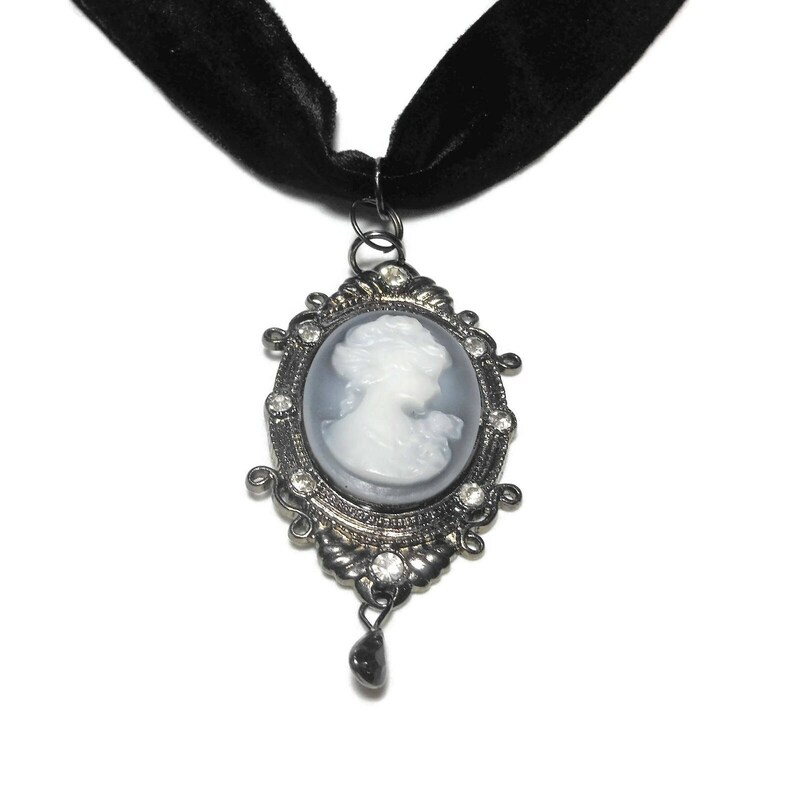 Gunmetal cameo choker, white cameo on grey background, ornate frame with rhinestones, black velvet choker, gunmetal extension. 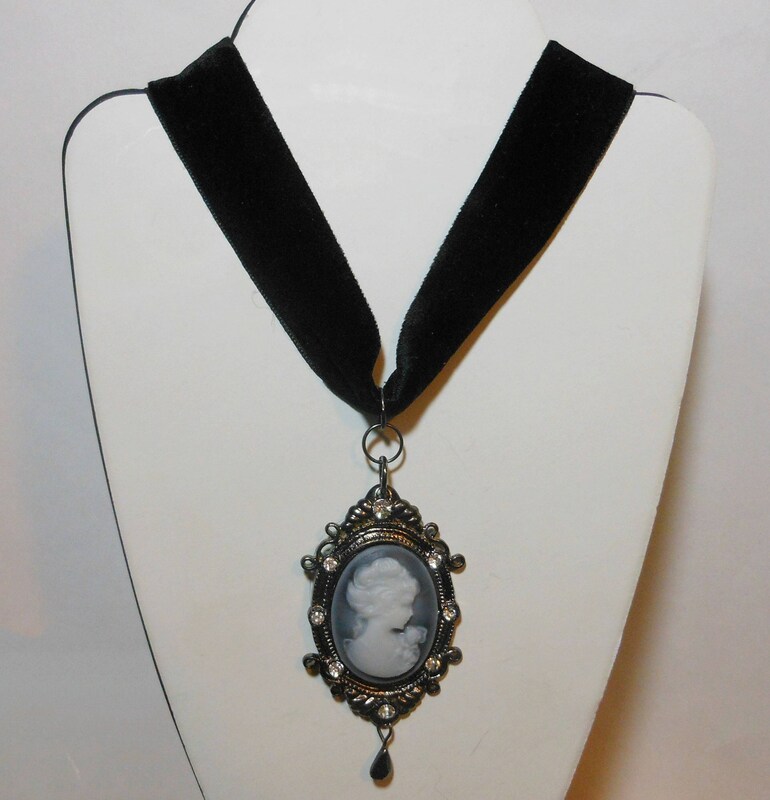 Gunmetal cameo choker, white cameo on grey background, gunmetal ornate frame with rhinestones, black velvet choker with gunmetal extension. 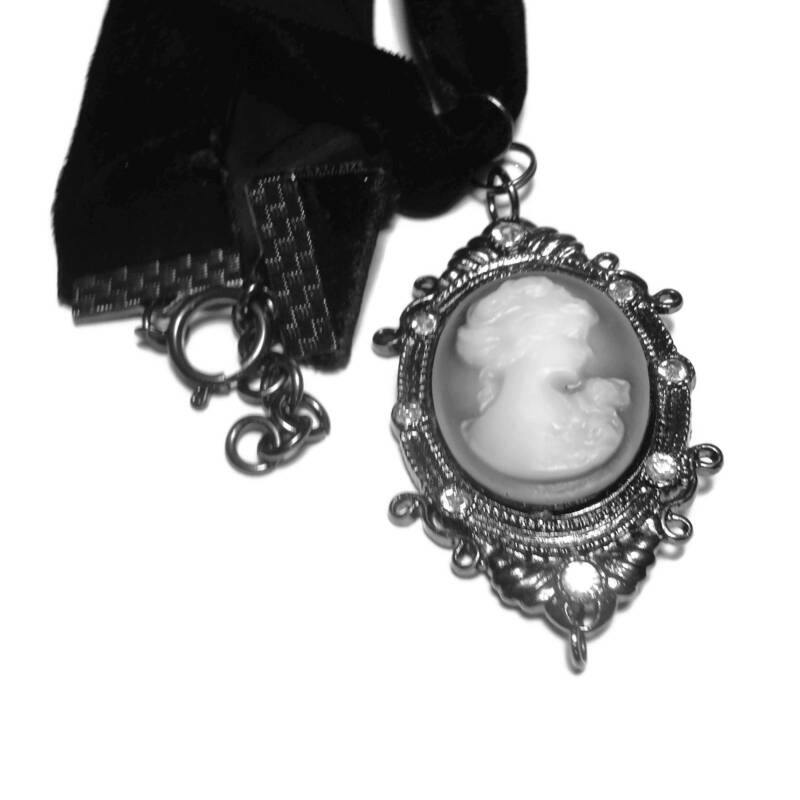 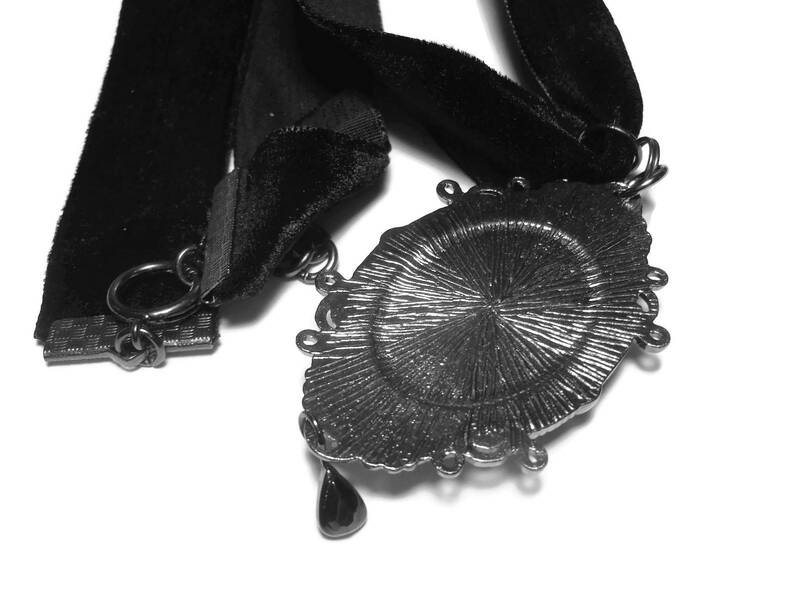 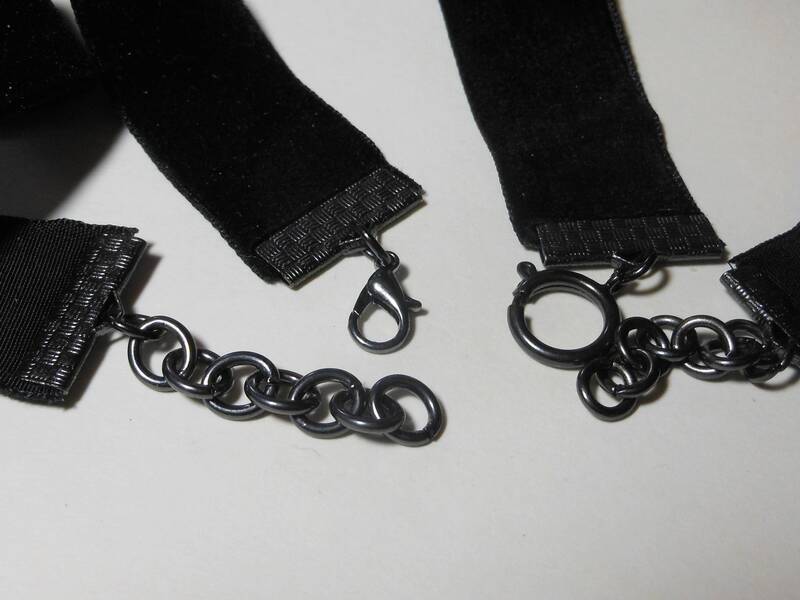 The chain is 116" (40.6 cm) long without the clasp with a 1" (2.5 cm) extender, the the cameo is 2" (5.1 cm) X 1 1/4" (3.2 cm).